Share your CircleMe profile with the world! While you’re voting for the second contest on the Official CircleMe Profile Chart, we have a great feature that came out today : your CircleMe profile is finally public! This means that from now on you can share with all your friends your interesting CircleMe profile, so everyone can see some of your likes and your passions, in your way.Cool, right? Here’s a sneak peek view of how your profile looks for others. Of course we won’t share all of your information. That’s why , if someone wants to know you better, he/she must “enter” inside CircleMe. You can easily use your profile as a presentation “card”, adding the link to your other social media accounts. 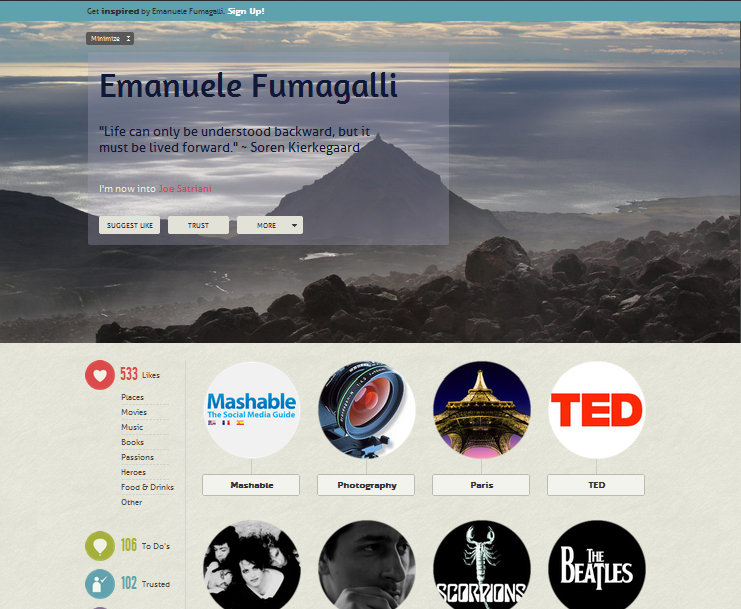 Inspire and get inspired on CircleMe!